"Santa Speak" is not a new language that you need to figure out in order to get included on Santa's list. (Although maybe a good game to play with LG's hidden gift on Christmas Eve!) 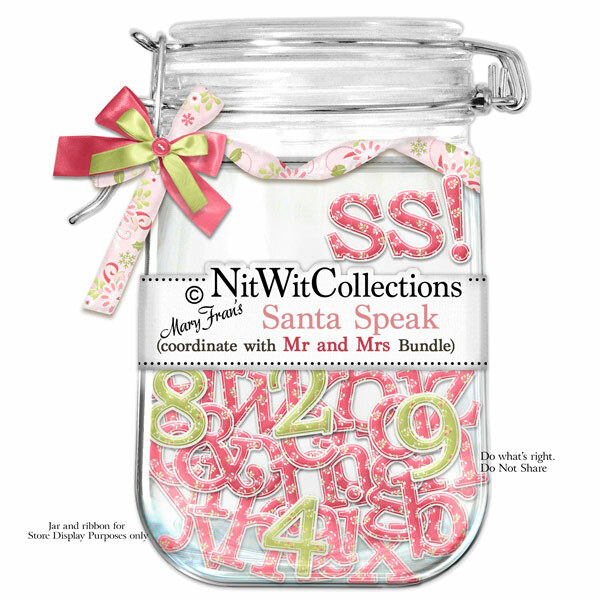 "Santa Speak" is an alpha full of possibilities to allow you to spell out just what you wanted to say on your cards and layouts.